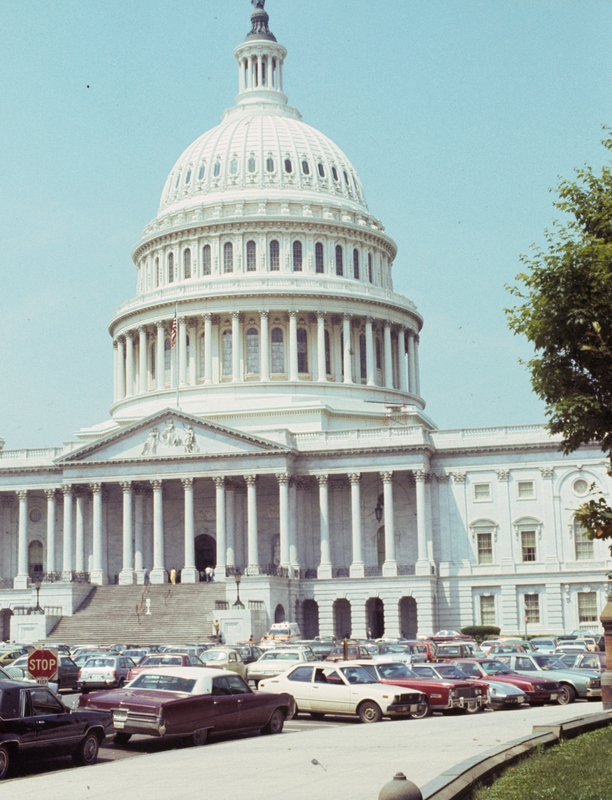 U.S. Capitol c. 1980, photo by my Dad. I’ve been seeing various blog and Facebook posts about “You know you’re a Southerner if…” or “You know you’re from Boston if…” I decided to do one for my own “hometown”. You say you’re from D.C. even if you don’t live there and never have…but you live(d) in the immediate suburbs of Maryland or Virginia—because saying you’re from Falls Church or Chevy Chase nets you only blank looks and comments like, “But you don’t have a Southern accent.” Actually, being from Arlington once got me the aghast question, “Your father is a grave digger?” *sigh* No, there’s more Arlington County than the military cemetery, such as the Pentagon, which employs a whole lot more people. In my case, Dad was military and we had “most consecutive tours” stationed in Arlington, so considered that home. Sentences like: “We need to check on an SCI for a SME seconded over to MilCom before the deliverable drops.” actually make sense without further explanation. “Sorry—stupid Vice Presidential motorcade” is actually a legitimate excuse for being half an hour late for work. In the same vein, you sometimes have to tell the person on the other end of the phone to hold on for a couple of minutes because the sirens from the diplomatic motorcade are drowning out the conversation and you have to wait until the whole thing goes by. You think it’s a bit odd when someone doesn’t have at least a SECRET security clearance. 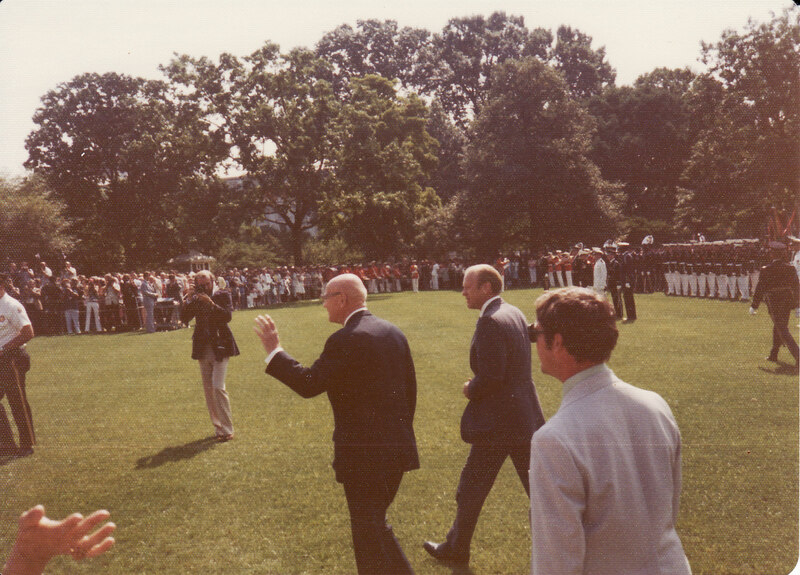 Gerald Ford at the White House. Photo by my Dad. You think it’s really odd when someone doesn’t have a passport. You think it’s pretty funny that the eccentric cat lady down the street names her felines after former directors of the CIA. But your college friends think that it’s stranger that you figured that out without being told. You know your obscure dead-end street in the suburbs is always going to be plowed first in a snowstorm—because an assistant postmaster general lives two doors away and is considered Essential Personnel. When your college professor goes on an anti-government rant about the absurd, indecipherable “governmentalese” words and acronyms that Washington uses, and you know all of the acronyms. Being a military brat isn’t all that odd in your schools, because two-thirds of the students there transferred around as much or more than you did—and a question like “What are you?” isn’t actually an insult, but invites answers like “State.” “Army.” “Embassy.” “FBI.” “DEA.” which actually mean you have at least one parent serving in that branch. You realize some of the senior care facilities in the area have “facilities and personnel available” to deal with dementia patients with high-level clearances and “special skills”. Anyone ever wonder what happened if James Bond or Jason Bourne got Alzheimer’s? LOL, I love this list! So appropriate, and also impressive–I know you know what all those acronyms mean. 🙂 And now *I* know the secret of snow removal–live near someone mission essential! Alas, we live out in the boonies, and though the raccoons are pretty full of themselves, they don’t warrant special attention from VDOT. Great pictures, Rowan! How true!! Alas, we did not. But we knew that when we heard the snow plows to get outside ASAP because we had to shovel the snow off the drive because if we didn’t, it would freeze and we wouldn’t be able to get out of the drive. I can see that happening! I remember the first time I took a familiar route and was suddenly facing oncoming traffic…because in the mornings, it became a commuter route and all traffic was going the other direction.